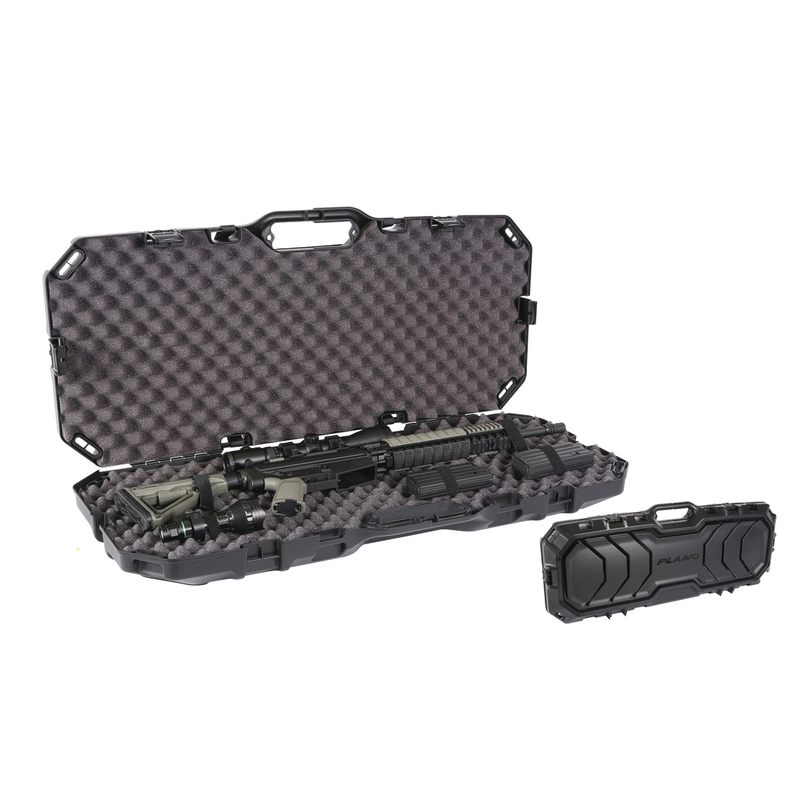 Plano Tactical Gun Case - 36 Inch. Durably designed for improved mobility and access, the all-new Plano Tactical Series is adding a whole new dimension to gun storage amd transport. Equipped with internal lash down mounts for your firearms and accessories, and numerous external strapping points to tie-down during travel. Features also include padlock tabs and moulded heavy-duty handle. 36inch measures internally: 36" x 13" x 3.5"
I wanted something to transport my shorter length firearms. Unlike some plastic hardshell cases it feels solid yet is relatively lightweight. The case is very wide so there is more than enough room to accommodate modern style rifles alongside bulkier accessories. One unique feature to this product is the modular lash down system even thought the ample foam padding stops items from moving around it at least gives a little extra reassurance that you gear wont be bashing against one another. However the case only includes enough mounting brackets for four lash down points which is not how plano illustrate it. The latches can pop off sometimes which is perhaps something to consider when in the field. More valco mounting material was also required in my case requiring me to purchase additional material. Nonetheless the product works well for transit to and from my club.